Hello dear Berliners! I hope this channel is ok to be used like this. My band Grimény is going to play on 12 April at Zukunft am Ostkreuz! I will play drums and Zynthian. 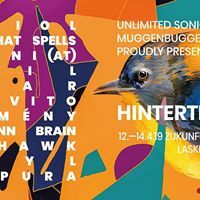 Musik event in Friedrichshain, Berlin by PinioL and 13 others on Freitag, April 12 2019 with 126 people interested and 53 people going. These are great news!! I hope you have big success!!! In the other hand, congratulations for the music & video!! I love both. Simply a little question … who are you in the video? I have an appointment with my own band on Friday - also with my Zynthian… sorry. No Zynthian in this video though, because its for some of our newer songs that I’m using Zynthian for cheesy choir sounds. @C0d3man, schade! In welcher Band spielst du denn?